Here at ASC Edinburgh Ltd, we believe that it is vitally important to keep up our health and safety policy. As a company, we strive to continuously demonstrate our commitment to ensuring the health, safety and welfare of all our employees and of anyone else who may be affected by any work we carry out. We recognise that the anchor point of such a system is the Health and Safety Executive (HSE) policy and so, we ensure that the in all the work we do, the policy is used effectively. Therefore, ensuring you’ll receive safe scaffolding whenever you work with ASC Ltd.
From the outset, when planning, health and safety is always at the forefront of everything we do and is such that when we set goals for our health and safety, we strive to achieve targets away beyond the minimum standard of which we are set to comply with the current HSE’s legislation. Our outstanding, robust health and safety policies are backed up by our ongoing company health and safety training matrix. We have structured this training to ensure that each and every member of our team reach the highest standard of training and experience which means that these safety standards are implemented to best industry practice as opposed to the minimum standards required. If you’re searching for an experienced scaffolding supplier in Edinburgh, Glasgow or Central Scotland for your next project, be sure to get in touch with a member of the team today, who will be able to provide you with a quote and answer any of your questions. NEBOSH – The National Examination Board in Occupational Safety and Health is a leading global brand in health, safety and environmental qualifications. The internationally recognised NEBOSH qualification helps to raise the competence of safety and environmental professionals. Our management and supervisory team have achieved this qualification to Diploma and National Generation Certification levels. SMSTS – The Site Management Safety Training Scheme provides our team with the training and knowledge they need to comply with all the current health and safety legislation. SSSTS – The Site Supervisory Safety Training Scheme provides our supervisors with the skills and knowledge they need to understand health, safety and welfare needed when working in the construction industry. 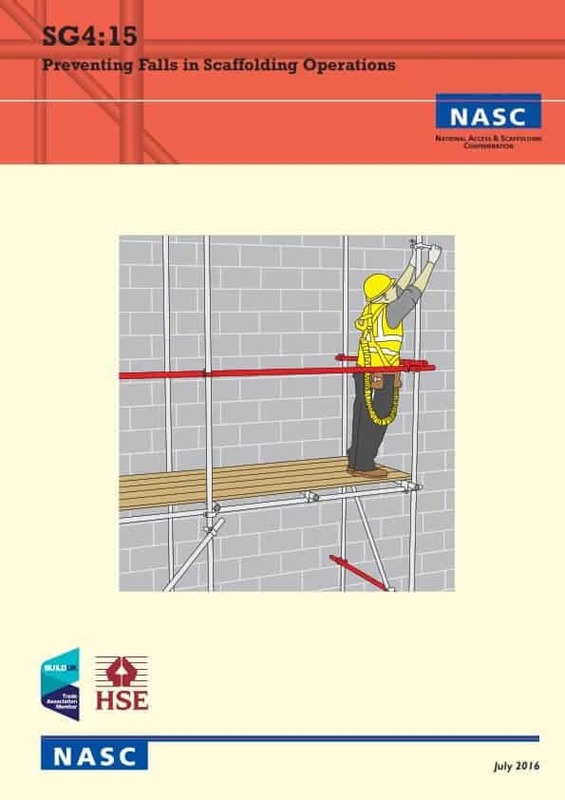 CISRS – The Construction Industry Scaffolders Record Scheme has been the industry recognised scaffold training scheme for 40 years. Cardholders at Trainee Scaffolder, Scaffolder and Advanced levels. Confined space – A confined space is an area which is substantially enclosed and where there is a risk to health and safety. Our scaffolders are completely trained to work properly in confined spaces and completely comply with the health and safety legislation.